We had the chance to talk to Dusty about his book, his blog, and his lifestyle among herps. Why make the study of reptiles, which was a hobby for you, your education and career? Even while I was a very young kid interested in herps, I've discovered that I was and always have been what I'd call a scientist in embryo. In other words, I've only been interested in adding to the store of knowledge on subjects where there was a gap in the literature. (Scientists are only concerned about the unknown.) Keeping and breeding snakes and other herps was simply my way of "studying" them as a kid and into my adulthood. It certainly offers a lot of enjoyment, but I wanted to learn more. When considering writing a herpetocultural book, I would often see multiple books on a single "popular" pet shop species, such as Boas, Ball Pythons, and Corn Snakes, etc. -- I bought and read all of them, and they nearly all repeated the same information. I had no interest in writing yet another book about a species already covered in other titles. In 1998, I was 18 years old and wrote some personal goals down. One of those goals was to write a book on Green Tree Pythons, because although there was a small TFH book on tree boids in print at the time, there weren't any books specifically about GTPs (or Chondros). I went on a two-year mission for my church, and by the time I returned there was an even better GTP/Emerald Tree Boa book out by Kivit and Wiseman. Shortly thereafter, Greg Maxwell's excellent book was out, and so I modified my goals. There was no longer a need for an excellent source of info on Chondros. Meanwhile, I had already started keeping and studying about Trans-Pecos Ratsnakes for a few years; as a species and as a captive I fell in love with them, and it soon became clear how I could contribute much-needed information about some reptiles that were just as unique and beautiful as Chondro pythons. As an undergraduate at BYU in the College of Life Sciences, I became very interested in evolutionary biology. There's a famous quote that says "Nothing in biology makes sense except in the light of evolution". This became very clear to me as I discovered the incredible predictive power that evolutionary biology possesses. For example, evolutionary biology would predict that few to zero species of native terrestrial mammals would exist on the furthest volcanic archipelagos. It turns out that that prediction is true. Evolution would predict that only species that could swim, fly, or raft over great distances would be able to colonize those islands. Similar predictions can be made and subsequently tested about the evolution of reptiles and amphibians. Using morphological characteristics, behavioral notes, biogeographical information, the fossil record, and other data about herps, you can make predictions about the evolutionary relatedness of reptiles. You can then test those predictions (i.e. hypotheses) using DNA analysis This is useful in all sorts of ways, from establishing captive breeding programs for endangered species, to developing conservation laws for protecting habitat, to describing new species. Doing science as a career is exciting to me, because your findings are the stuff that ends up in text books from grade school- to college-level, in breeding programs at your local zoo, in the museums you visit, and even in the reptile care magazines and books we all love to read. What do you study about reptiles, herps, snakes, amphibians? At Ole Miss, I will be doing my graduate research on some aspect of the biogeography, phylogeography, and conservation of tropical reptiles and amphibians. There is so little known about most species of tropical herps -- the kinds of questions I can ask and the kinds of species I can research will be wide open. For those who don't know, what are subocs? Just a hobbyist-coined nickname for Trans-Pecos Ratsnakes, stemmed from their specific Latin name subocularis. Tell me about the blog. 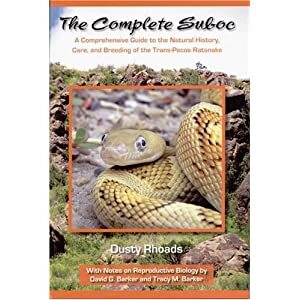 Simply Subocs is a hodgepodge of rare articles, photographs of animals, captive husbandry and breeding notes, color morph genetics findings, field notes, and other ramblings of mine about Trans-Pecos Ratsnakes and other species of ratsnakes from western North America. I have recently turned it into a multi-author blog featuring breeder Mike Murphy, renowned snake veterinarian Dr. Rich Funk, and Sue Knight from the Ratsnake Foundation will be joining as a blog author too. It will be exciting to hear from their various perspectives and areas of expertise. And to see pictures of their captive productions from time to time! Why write a book on ratsnakes, particularly Trans-Pecos Ratsnakes? I will answer this by posting a similar response from my author blog on Amazon. A few times my publisher and I have been asked this question of "Why a book on Trans-Pecos Ratsnakes?" I think the core reason this question is asked comes from the perhaps typical reptile hobbyist's or reptile keeper's point of view. They might see the word "ratsnake" stapled onto the end of a species' name and quite probably think, "Oh, it's just another ratsnake species." What isn't commonly understood by many of those who ask the aforementioned question of 'why a suboc book?' is that the term "ratsnakes" is a generic term for a worldwide polyphyletic variety of mostly non-venomous, slender-bodied snakes that eat rodents as adults. (The term polyphyletic means a group that is composed of unrelated organisms descended from more than one ancestor.) In other words, one "ratsnake" species may be as unrelated to another "ratsnake" as is a Komodo Dragon to a Chinese Water Dragon -- i.e. the mutual surname of "dragon" does not infer any relatedness between these two lizard species. This same principle applies with the vernacular term ratsnake. So again, why a book on this particular species of ratsnake? One important answer is that Trans-Pecos Ratsnakes are perhaps the most divergent of ALL of the Western Hemisphere's ratsnakes. In fact, MOST of the other ratsnakes in North America and Central America are woodland- and grassland-living organisms that are related enough to each other to interbreed or hybridize and produce viable offspring. This is not the case with Trans-Pecos Ratsnakes. Trans-Pecos Ratsnakes (along with their closest living relatives, Baja Ratsnakes) are the ONLY members of their entire subfamily -- and indeed, nearly all other North American colubrid genera -- that are restricted to desert habitat. Thus, their ecology is completely different from other ratsnakes and related genera. All other North American colubrids have 36 diploid chromosome pairs...Trans-Pecos Ratsnakes have 40. Baja Ratsnakes have 38. This isolates these Desert Ratsnakes reproductively from all other living snakes. No hybrids have ever been known to occur in nature or in captivity. This is the same mechanism that reproductively isolates horses from donkeys (the cross of which is an infertile mule). Another reproductive isolation -- Trans-Pecos Ratsnakes breed later in the year and thus lay eggs later in the year (and hatch later) than all other colubrid members of North America. They're the only species of colubrid snake in North America with an actual "face" (using an anthropomorphic term). All other colubrid snakes' eyes border directly along the lips. Trans-Pecos Ratsnakes and Baja Ratsnakes have a row of scales that actually separates the eyes from the lips -- called subocular scales. Most other ratsnakes dwell in grasslands or woodlands. Trans-Pecos Ratsnakes live on rocky boulder-strewn hillsides of the desert. Wild Trans-Pecos Ratsnakes are considered the most docile of all North American Ratsnakes. Most other North American Ratsnake species including Corn Snakes and Black Ratsnakes and kin have a familiar blotch pattern, but Trans-Pecos Ratsnakes have a unique pattern that is all their own -- consisting of Hs running down the dorsum and two nuchal stripes along the neck. Trans-Pecos coloration is different too -- it varies dramatically from locale to locale, but they range from straw yellow to army green to grey to even a bright orange. 'Blonde' phase Trans-Pecos Ratsnakes from the Big Bend area of West Texas are the brightest yellow of ALL North American snakes. They have larger eyes than all other North American snakes. Their silly looking bug-eyed countenance is endearing to many people. They have shorter tails than all other ratsnakes. They show more curiosity towards humans than most other ratsnakes. In view of all these abovementioned points and many more, this book was written to fill a gap in zoological and herpetocultural literature about a snake that is as different as can be in every way. If you want to better love and more fully understand the unique biology and natural history of western North America's fascinating colubrid snakes and herpetology, you need to read this book! Name something the average reptile enthusiast would be surprised to know about these ratsnakes. After multiple observations, I am convinced that they use a unique form of caudal luring to...well...not really lure, but frighten hidden prey from their hiding places and into the open and in view of the snake. Are reptiles in need of conservation? Of course, we know about the plight of turtles being harvested all over the world for the Asian food market, as well as that of many crocodilians like Gharials losing ground fast. Sadly, there are various tortoises, frogs, tree vipers, Collared Lizards, and other herps that have been over-collected for the pet trade. Pet owners need to be involved in conservation by not buying wild-caught animals. You vote with your dollar, and every captive-bred animal that is bought over a wild-caught animal discourages illegal and irresponsible collecting and overharvesting. What has your reptile pet experience been like? Very rewarding. It has allowed me to discover the field of genetics, to help others overcome their fears and gain an appreciation of animals they used to loathe, and to enjoy nature's wonder and beauty. It has set the stage for my love of biology and science, in general. Even Darwin used his hobby of captive breeding of pigeons and other animals to show how artificial selective breeding for morphs can explain how natural selection works. What words of wisdom would you give to other reptile owners? It's been said that if life were discovered on Mars, nations would spend close to their gross domestic product to be the first to describe those Martian lifeforms, but we haven't even described more than 1% of our own planet's species. And many of those species are going fast, to be forever lost, yet right under our very nose in our own backyard. No rockets or space program required to study them. There is a lot that pet owners without a biology degree can do to contribute to new academic research. Steve Irwin was an example of this in his life. He published several important papers and edited chapters on various monitor lizard species. 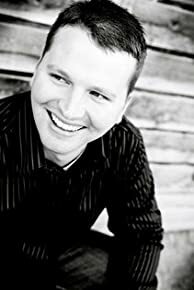 I have a friend, Gerry Salmon, who is a state trooper in New York, who also has contributed much to academic research and even helped describe new species of herps, including a new turtle species. He works with locality Pine Snakes and has submitted things like shed skins to academic researchers. These shed skins can be used in many DNA-based studies. Researchers need help from the community! They need your help to show the world new findings in nature! There really is a lot you can do. What Steve Irwin and Gerry Salmon have in common is that they both did some simple things to be a part of important research. Little things like getting to know the biologists at your local university or museum can establish professional relationships and can launch all sorts of exciting endeavors for you. These people love it when locals get involved in research. Even doing small things like collecting shed skins or road-killed animals that you find add significantly to the knowledge that ends up in text books. After being preserved in a jar, their DNA can be used for decades in studies for evolution, conservation, diet studies, and many other areas of research. Use your love of reptiles to leave your footprints in the world for a cause that is bigger than you.